I was happily taking a shadow selfie while bird watching when man and his dog “photo bombed” my picture to give it an other level of human interest I couldn’t have planned. Black and white really wags the dog’s tail don’t you think? This entry was posted in Animals, dogs, Nature, Photography, Weekly Photo Challange and tagged dogs, nature, outdoors, Photography, weekly photo challenge. Bookmark the permalink. 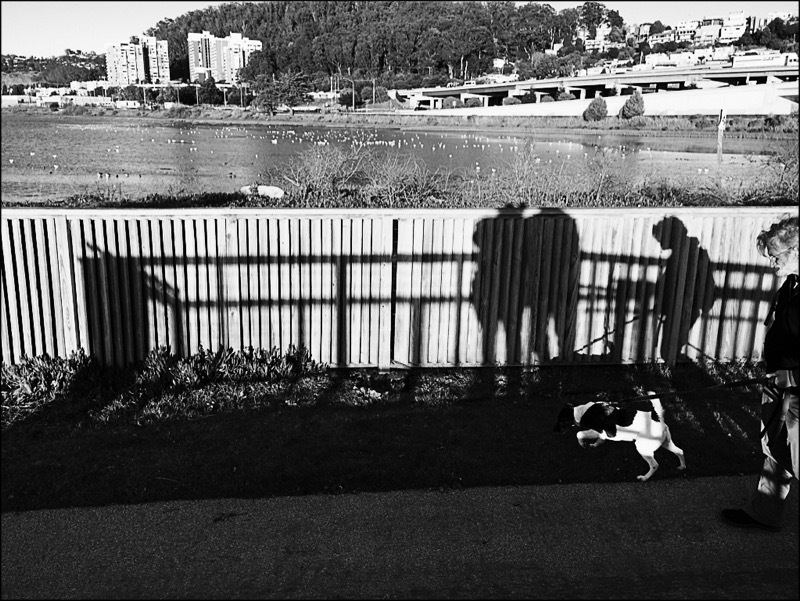 Nice timing, a B&W dog in a B&W photo. They are a welcome addition to your composition, Carol. Don’t you hate when that happens? Not happy about the wpc changing to Wednesday. I’ll still post mine on Fridays. I posted agin today just because. I don’t see you in my feeds. Can you put your link here so I can find you. I Miss you.